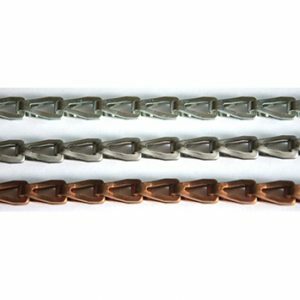 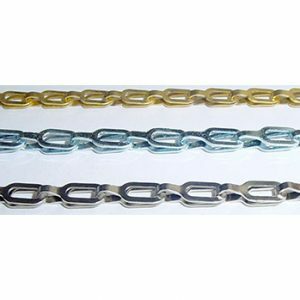 Twist link coil chain is a low carbon steel chain that is welded on each link. 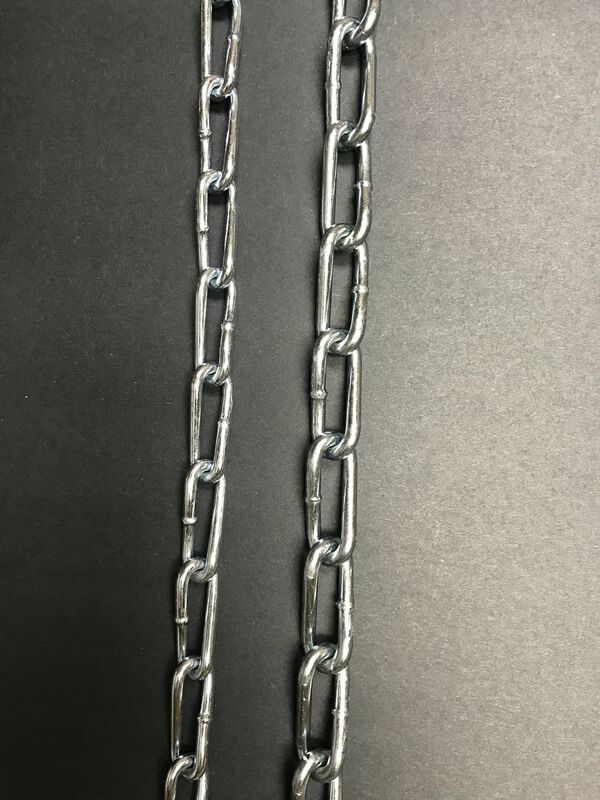 A shorter link with a twist that allows chain to lay flat. 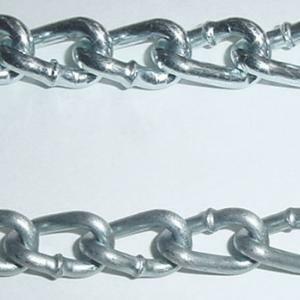 A general utility chain.